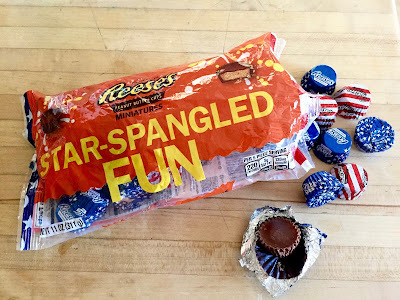 It’s Independence Day here in the good ol’ U.S. of A. so I went out looking for some special 4th of July Reese’s. If you’re a regular reader (Hi, Mom) then you know about my chocolate-encased peanut butter obsession. There’s no bad Reese’s product but the best-of-the-best are the super-sized holiday specials. I’m talking the Halloween pumpkins, the Christmas (Winter Holiday?) Snowmen, the Valentine’s Day hearts, and the Easter Eggs. It’s not just the size, mind you, it’s the thicker chocolate and thicker peanut butter that makes them great. It seems like Reese’s puts out more special holiday candy every year (2015 brought us mini-Christmas trees and mini-Halloween ghosts) so I was hoping, even though I’ve never seen a single special Reese’s star-spangled treat before, to discover that this was the year that they'd make a big ol’ Uncle Sam hat or something. Instead, I found these. Are they little stars, like the mini-hearts and mini-rabbits I enjoyed in the winter/spring of 2016? No sir, they are not. 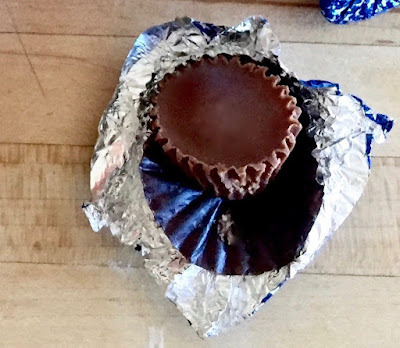 In fact, they’re just regular mini Reese’s in some fancy foil. 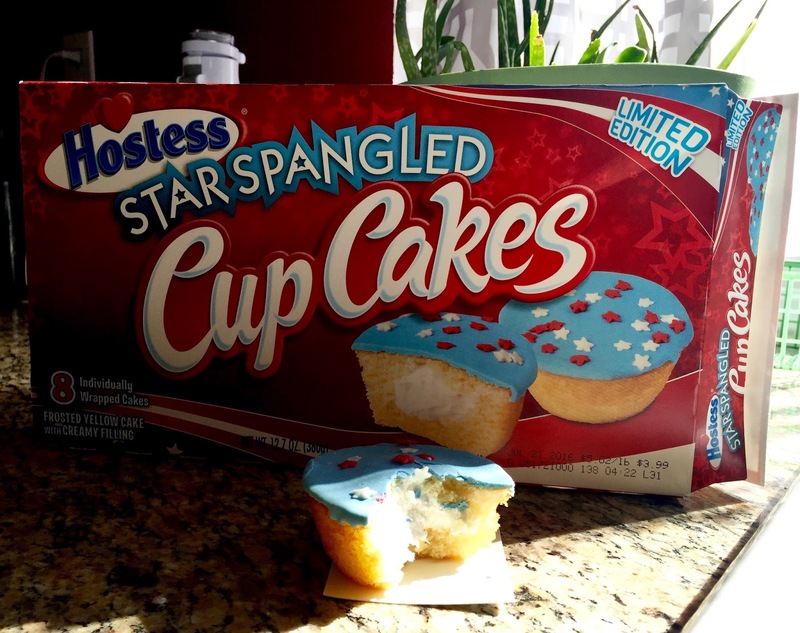 At least the folks at Hostess slapped on some blue icing and decorated the thing with red and white star-shaped sprinkles. Those are some right-thinking Americans, right there. Sure, the Star Spangled Cup Cakes don't taste nearly as good as the delicious regular orange or chocolate kinds (in fact, they don't taste especially good at all) but I guess you can't have everything.